We have a 6 yr old Miniature Schnauzer (Penny), who within the last year has had sensitive stomach issues. She has had many trips to the Vet as a result of her stomach issues causing severe dehydration. They said that she suffers from bouts of Colitis. She had all testing done and all results came back normal. We were given the prescription to make “ Boiled Chicken & Rice”, then wean her back onto her regular food. Of course we know how costly it can be, taking Penny to the Vet when she would have the “Colitis” episodes every few months that would make her dehydrated, lethargic and not herself. After Months of giving Penny the “Boiled Chicken & Rice” diet to get her stool normal, it just didn’t seem to work anymore! We had to do something, to have loose stool on a daily basis would only lead into another trip to the Vet. 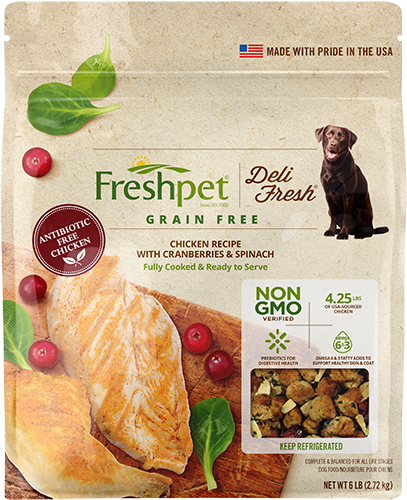 So we decided to try Freshpet grain free chicken, potato & spinach. 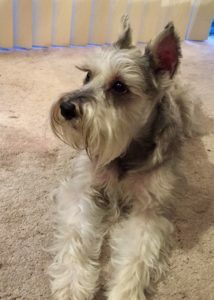 We can’t believe that after 3 days of giving her Freshpet, her stool finally is back to normal and her coat is so much softer and shinier. We are so glad that we decided to buy Freshpet first before trying another brand! 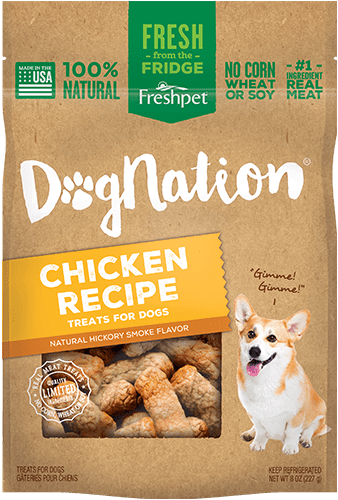 Thank you so much for creating a product for which dogs with digestive sensitivities can enjoy and reap the benefits!